Having a well-stocked workbench full of professional tools makes building and repairing your quads much easier. Unfortunately, nothing on your bench at home will help after you leave to go flying. You’ll need tools and parts for field repairs—but what’s worth carrying with you? 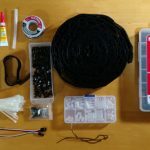 If you’re just starting out, take a look at our guide on tools needed for building a quadcopter. There, we discuss each tool in detail and whether it’s essential, recommended, or just nice to have. In this article we’ll divide tools up the same way—but in many cases, the positions change. For example, a hobby knife is a necessary bench tool, but I’ve never needed one at the field. This article covers the types of tools needed and their uses; if you’re looking for specific recommendations to purchase, check out Field Tools and Tool Sets for Quad Racing. Anything larger than a micro quad requires planning for a little field work. These more complicated machines take a little extra care in maintenance and preflight checks. 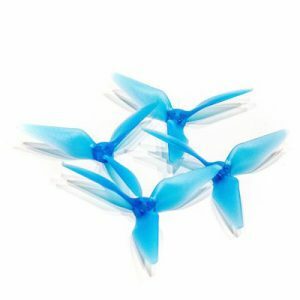 Don’t go out without these; they will get you past the most common problems and back in the air quickly. Always carry spare props and prop nuts. You’ll definitely need them. Props: You crash, they break. 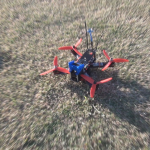 Newer props often have better durability, but a light crash can still make a prop unusable. Prop nuts: Even if you never lose a prop nut during a flight, if you drop one in the grass you may never see it again. Having spares is especially important if you require the reverse-threaded or low-profile versions which can’t be purchased at local hardware stores. Screws: Don’t fly if you have any screws loose or missing, especially if it’s part of a motor mount. Like prop nuts, if you lose one, you probably won’t find it. Keep them in a bag or container so they don’t spill out. Zip ties and twist ties: These provide a quick fix for a wide variety of problems. Often something that needs a more permanent fix can be temporarily held together for the rest of a flight day. Tools with nicer grips are easier and more comfortable to use, but are usually heavier and take up more space. Screwdrivers: Take a look at your equipment and find out what types of screws you have. It’s common to need a 2.0mm hex driver, along with a 2.5mm hex driver, for frame and motor screws. Some frames may also need a 5.5mm nut driver. Philips/cross-point screws are common in flight controller standoffs and camera mounts, generally the #1 size—though on occasion, manufacturers use #0 or #2. If you need to tighten screws, disassemble your frame, or make adjustments, you won’t get far without the right driver. It’s worth checking what you need instead of carrying an entire generic set so you don’t have to carry extra weight around. Prop wrench: If you can’t get your props on or off, it won’t matter how many spares you brought. Larger quads generally need an 8mm nut driver or wrench. 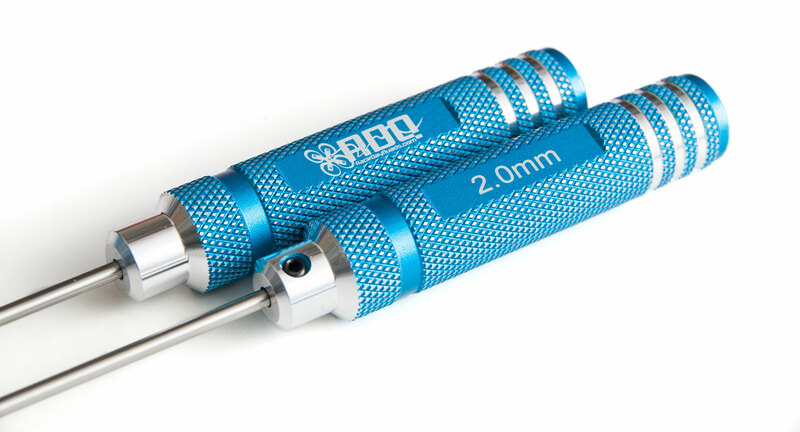 If you fly smaller (2–3″) quads, you may need a 1.5mm hex driver. Needle-nose pliers: A set of needle-nose pliers comes in handy more often than you might think. Small frames and compact builds make components difficult to access, but often pliers can be useful just for holding something in the right place. If you’ve ever had to re-plug a cable into the back of a mounted camera in the field, you’ll understand why these are essentials. Side cutters: A must if you’re using zip ties for repair, and often have other uses. Frequency table: Having a reference for the radio spectrum is a requirement if you fly with other people. If you fly very near home, you might be happy just carrying the essentials. 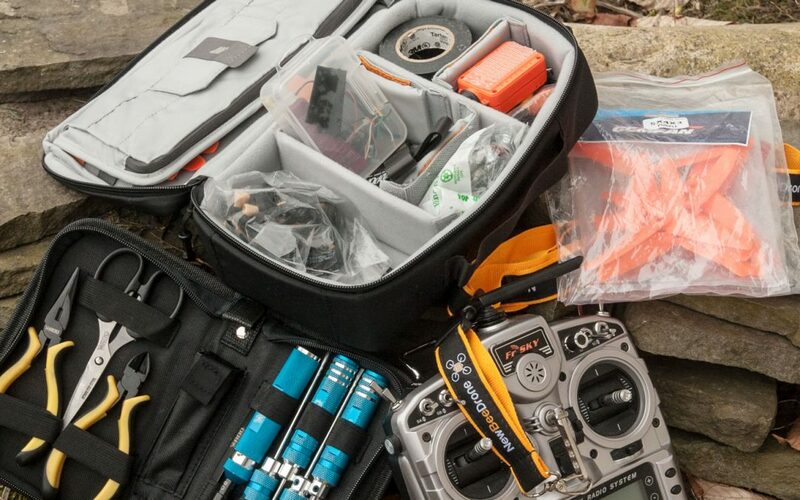 If there’s any travel involved to get to your flying site, you’ll want to consider an extended set of items that cover a wider range of repairs. Electrical tape: Unlike zip ties, electrical tape doesn’t have hard edges that can inadvertently cut into wires. It fits into spaces differently, won’t slip out of place, and can sometimes be used for protecting electrical contacts from moisture. Plus, it is inexpensive and compact enough to keep a spare roll in your bag. Battery strap: On rare occasions, a hard crash will break a battery strap. It’s often impossible to fly without one, so this is another small item that can mean the difference between a full day flying or an early trip home. Thread Locker: After replacing screws, particularly in a motor mount, it’s recommended to apply a thread locker so they don’t vibrate out of place again quickly. It’s available in small, easily-portable tubes and a little goes a long way. Spare antenna: Antennas often stick outside the frame, so they’re more likely to get sheared off or sliced by a prop in a crash. You may also want to change the type you are using mid-day, such as RHCP vs. LHCP, or omni vs. directional. Spare arms: Some frames are designed with arms that can be replaced when they break. If you bring these, make sure you have the right tools and anything needed to attach the motor/ESC to the new arm. SD cards: Small, light, and easy to carry. Good for blackbox logging, DVR, and your action camera. Many tool kits come with a case that holds them together, which stops them from banging into and damaging your quad or radio. 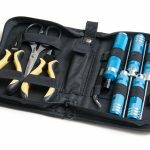 Tool case: Something to hold everything together and keep things organized prevents you from digging through a mess at the bottom of your bag. It can also prevent your tools/parts/quads from damaging each other. 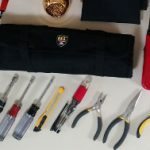 Tool rolls like this one are a great (and cheap!) way to keep a ton of equipment on hand and can fit easily in a backpack. Battery Checker: Even an extremely cheap battery checker can help you make better decisions about how you fly and how to make repairs. Don’t rely on your quad’s OSD; you may need to check your battery like this when there’s already some kind of problem. 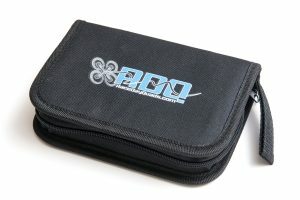 The RDQ smoke-stopper is ideal for portable kits. It’s small, light, and works very quickly. Every part and tool adds size and weight to your pack. For some, though, flight days are few and far between—it may be worthwhile to carry the weight of additional tools to make sure you can get the most out of every opportunity to fly. Your “nice to haves” may make sense to simply pack in the car instead of carrying all the way out the flying site. Motor holder: This tool can help you hold a motor bell in place while you use a prop wrench. It’s useful when you can’t get a good grip on the bell or the quad’s design prevents you from doing so easily. Some are adjustable size with silicone bumpers, other are simply 3D-printed wrenches that fit the ridges on top of the motor bell. Portable soldering iron: There are now some impressive portable soldering irons such as the TS100. I wouldn’t want to do a lot of field work with it, but soldering is the only solution for some problems. Keep in mind that to use a soldering iron effectively, you may need to carry solder, flux, and a tip cleaner. Smoke stopper: Whenever you do any soldering, make sure you use a smoke stopper before you fly. 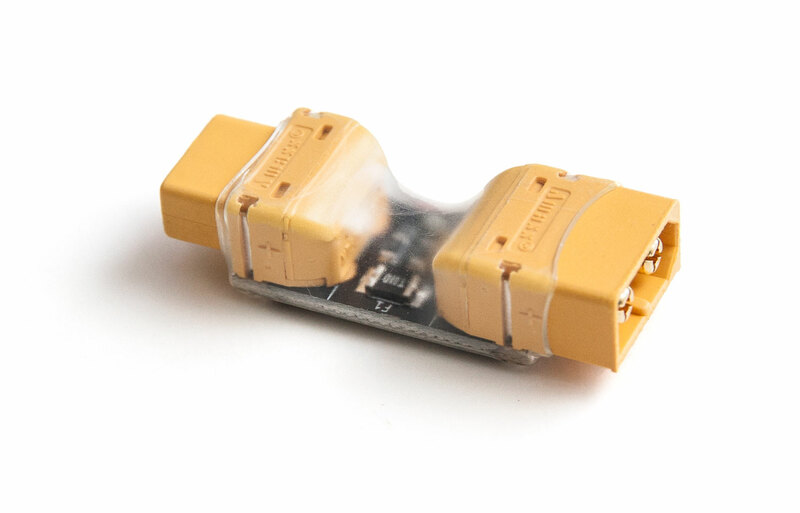 This one from RaceDayQuads is so small and light that there’s no excuse not to carry it if you’re bringing a soldering iron. Multimeter: You shouldn’t do very much soldering without a multimeter to check your work. This may be hard to fit into a crowded bag, but is a good candidate for the car. Hobby knife and/or scissors: You won’t know exactly why you need it until you need it—but then you’ll wish you had one. Wire Strippers: You can strip wire with a knife, or even with your teeth, but a set of wire strippers is always quicker, cleaner, and more accurate. Tweezers: For working in the smallest spaces on ultra-tight builds. Flathead screwdriver: Our quads don’t often have flat screw heads, but flathead drivers find other uses such as in other equipment or as a pry bar. Portable table: This is the largest of all suggestions here. It gives you a work surface that’s more comfortable and much cleaner than the ground. I won’t take one if I’m going for a casual joyride, but on race day I’m usually glad I brought one along and end up using it all day. Definitely skip it if your flying site has tables available! Laptop and USB cable: Sometimes your day can be ruined by a simple software misconfiguration. This is a lot of weight to carry around just to cover that possibility, but it’s often the only way to fix it. You can think twice about this one if your flight controller has an OSD since most settings are now available that way—but there are still problems an FC-based OSD can’t fix such as receiver connectivity. FPV camera joystick: Many cameras still require their settings to be adjusted from an external joystick and this too can be a quick addition to your bag. Action camera accessories: If it’s important to you to record your footage, you might need cables that will allow you to configure your camera’s settings or replacements for mounting hardware. Skip the zillion-tip screwdriver kit. You won’t use most of the tips, they’re likely to get lost, and it’s tough to work in the small spaces inside a quad frame. Field repairs often introduce dirt and debris into the parts you’re working on. There’s always pressure to get back in the air while you have good weather, charged batteries, and free time—but you can irreparably damage your equipment by flying after doing a poor soldering job or getting sand in your bearings. Bench tools are designed for extended, heavier-duty use and are nearly always easier and more comfortable to use. When you have a large or difficult repair job, cut your losses, get back to the bench, and use the right tools for the job. Soldering station: a field soldering iron is good for a joint or two, but if you have to replace an entire component like a flight controller you’ll want the reliability and control of a bench iron. Heat gun: These tend to be pretty bulky, require a lot of power, and can easily make a mess when you have a limited workspace. However, they are deceptively useful at the bench! 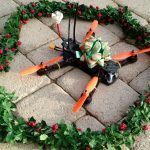 Spare components (camera, VTx, FC, ESCs): If you have to replace a major component, you’re better off waiting until you can do it cleanly and easily. Hot glue: This is difficult to use at the field, and the glue is likely to get full of dirt and sand that’s impossible to remove. 100-tip interchangeable screwdriver: Good for peace of mind, bad for weight. You’ll only ever use about three of the tips, (but may lose six or seven,) and these drivers have a hard time getting into small spaces. You may disagree with our recommendations, and that’s fine! Everyone’s needs and equipment are a little different, and even the environment you’re in makes a difference. Some tools make more sense on some trips than others: on a casual day I probably won’t bring anything from the ‘nice to have’ list, but on race day I have less tolerance for things going wrong. Sometimes a good workspace is provided at the flying site, including various tools. In that case, you can leave may of your own tools out but bringing spare components might make sense. Remember, flying starts at the workbench. Increasing the durability of your quad at home can save you from many repairs and adjustments at the field. It also helps greatly to test your changes thoroughly before heading out. Treat any quad with a significant adjustment as if it’s the first time you’ve flown it. Every pilot has to decide for themselves whether bringing a tool or part is worth the risk of not having it vs. carrying its weight. We hope our guide will help you quickly find what works best.